Join us at the 2nd Sankalp Southeast Asia Summit 2016 in Indonesia at Hotel Bidakara, Jakarta (See location below). 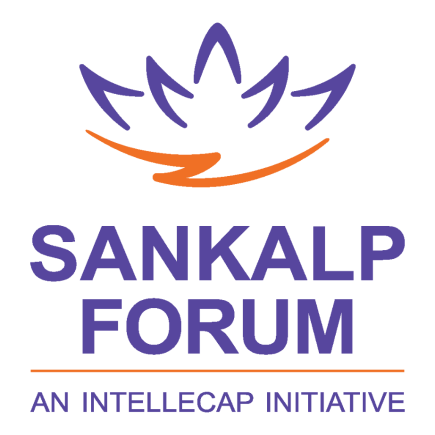 Sankalp Forum is the leading common-action platform for entrepreneurship and innovation. In continuation to the inaugural Sankalp Southeast Asia Summit 2015, the 2nd edition of the Summit aims to connect entrepreneurs from the region with investors, corporates, service providers, enablers and policy makers, to facilitate their growth strategies. This is an exciting time for innovation, entrepreneurship and inclusive growth in Southeast Asia region. All set on the path of market integration, the region is poised for growth led by technology, financial integration and physical connectivity. The Association of Southeast Asian Nations (ASEAN) countries– Brunei, Cambodia, Indonesia, Laos, Malaysia, Myanmar, the Philippines, Singapore, Thailand, and Vietnam, viewed as a single entity, would rank as the world’s seventh-largest economy and home to more than 600 million people. The region is at a critical juncture with the formation of the ASEAN Economic Community (AEC). Southeast Asia projects a strong investment climate – macro strategies like ASEAN and AEC ushering in a single economic market will allow free movement of goods, services, skilled labor, and capital, which are expected to boost investments, create jobs and increase incomes. The number of consuming households in ASEAN is expected nearly double by 2025, with around 40 percent of the population in the low and low-middle income groups. This demographic shift and the opportunities it presents indicate a blurring of lines between mainstream businesses and those targeted towards social impact, where Small and Medium-sized Enterprises (SMEs) will have to innovate with solutions to ensure inclusive growth. The journey promises to be eventful as the region attempts to leverage its diversity in culture and political structures to build a common institutional fabric by bringing down non-tariff barriers, structuring labor movement, bridging the development divide between the economically advanced ASEAN six and the four newer countries. The AEC can potentially boost the region’s growth from 5.4 percent (2004 to 2014) to 7.1 percent (2016 to 2025). Entrepreneurs and SMEs already play a huge role in the region. Networks for collaboration, access to capital, knowledge and mentorship will form the basic building blocks of SME growth in the region. At the ecosystem level, new players will emerge while existing catalysts will have to rethink their capacity building strategies to ensure that entrepreneurs and SMEs scale up. The 2nd edition of Sankalp Summit in Southeast Asia aims at discovering these new strategies to innovate, invest, integrate and impact. It will connect entrepreneurs, investors, corporates and policy makers towards unlikely alliances and collaborations in the region. At the summit, these diverse stakeholders will deliberate on the building blocks of an integrated and innovation-led economy and how they can together achieve the goal of inclusive growth. The three pillars driving these conversations will be Knowledge, Capital and Networks.